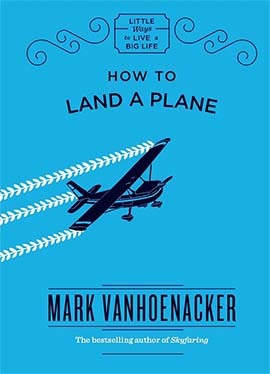 In Skyfaring – his 2015 best seller on the mystery and magic of flight – BA 747 pilot Mark Vanhoenacker told how he did it. Now in this 64-page addition to the Quercus series of ‘how to do it’ books he tells us how to do it ourselves. Land that is. Taking off is no big deal, push the throttle forward and go. Once you get up there it’s pretty straightforward as well, as Mark points out flying isn’t like driving. Let go of the steering wheel and pretty soon the car’s going to dive off the road. Let go of the control wheel and the plane will carry along like you – the pilot – are not even needed. But landing, well that’s more difficult and having assumed the left-hand seat (that’s where the captain sits) Mark leads you on to the glide path, down towards the runway, tells you how to do a nice flare just before you touchdown and then brings you to a halt before the runway runs out. Taxiing over to the terminal? Well that’s something for another book. When Mark asked me to look at his new book I was in the interesting town of Timișoara in Romania, getting on towards the end of my three-month Silk Road odyssey by MGB. I’ll get around to posting on those last couple of weeks very soon. 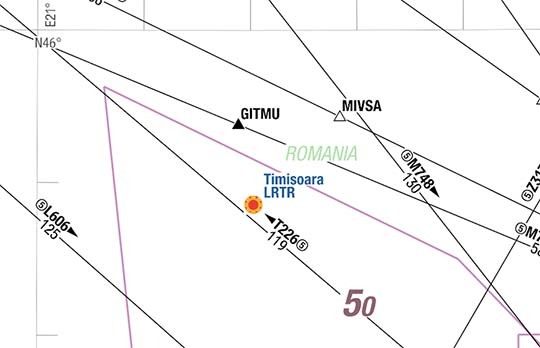 Timișoara is a lovely town and played an important part in recent Romanian history. It was there where the Romanian revolution against Nicolae Ceaușescu flared up in 1989 and in no time at all Romania’s hardline dictator was up against a wall, facing a firing squad and wondering where it all went wrong. It reminded me that in 2014 in a Qantas A380 I flew over Mosul in Iraq, a city very much in the news for all the wrong reasons in recent months. Even back then Mosul wasn’t exactly peaceful and on that flight I pondered how different things were when you were 40,000 feet above the trouble. Only a few weeks later the unfortunate passengers on Malaysian flight MH17 discovered how trouble at ground level could suddenly reach cruising altitude in the worst possible way. I thought about that one in another ‘flying over war zones’ posting.